E-Commerce (Electronic Commerce) is the buying and selling of goods and or services, or transmitting of funds or data, over an electronic network. Think Amazon - they are a leader in the e-commerce market, they revolutionized the e-commerce industry. 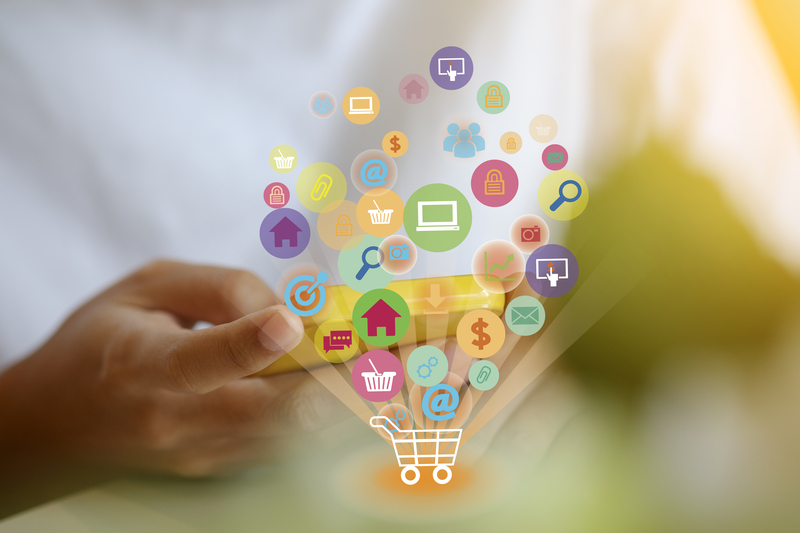 Consumers can now purchase endless amounts of items online, both from typical brick and mortar stores with e-commerce capabilities and one another. E-Commerce accounts can help you to expand and grow your business. Check out Grande Prairie Little Theatre and see how e-commerce helps them with ticket sales. The ability for them to provide the convenience of an e-commerce set up to their patrons helps the business in many ways. They can pre sell tickets, allow people to purchase gift certificates, process donations, etc. Another great idea of Online Shopping Carts is the ability to "save orders" for future purchase - great for when you need to purchase gifts for family and friends! POS West is a leader in helping many Sporting Clubs set up their E-Commerce Sites. By introducing online payments to your club members it allows you to customize an online form in a secure environment, collect all the information and fees instantly! POS West has built a partnership with RAMP interactive. Contact Us today to start the application process. It's fast, convenient and we offer step by step support!